Authorities said people with guns in holsters on their hips visited State Street March 28, and went into Fair Trade Coffee House. Authorities said Fair Trade owner Lorie Henn contacted police the next day. “She wasn’t completely comfortable having these people in her coffee shop,” Madison police spokesperson Joel DeSpain said. DeSpain said an assistant city attorney was consulted and Henn was told she could post a sign to prohibit guns in her business if she wanted to head off any repeat visit by gun-toting customers. When contacted by 27 News, Henn declined comment. Sources told 27 News at least one person openly carrying a gun was also in the grocery store Trader Joe’s on Monroe Street Mar. 28. Grocery store managers declined comment. John Pierce of the Virginia-based, gun rights advocacy group OpenCarry.org said the people who openly carried firearms Mar. 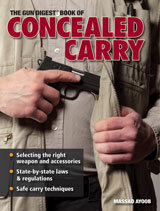 28 are affiliated with his group and are board members of Wisconsin Carry Inc.